Hello everyone. I am looking at getting into long range shooting. All of my experience has been short to mid range, so close quarters up to 500 meters depending on the situation. I am looking at the Tikka T3x A1 in 6.5 Creedmoor and putting a Nightforce SHV 4-14x50mm or a Leupold Mark 5HD 5-25x56 on it. I am a firm believer in buy once cry once and have been saving up for this platform over the past few years. Just am wondering what your thoughts are on the rifle, round, and choice of optics are. Thank you! Last edited by rje0036; February 11th, 2019 at 05:47 PM. The 6.5 Creed is a good round for shooting long range around here. My current setup with a 26" Krieger barrel shoting Honady 140 grain ELDM's at 2775 fps, stays supersonic to around 1300 yards. I can get consistent hits at 1000 yards which is the longest I have had confirmed hits. You have a good rifle chosen as Tikkas are excellent shooters out of the box and in my opinion have the smoothest action in a factory rifle. Between the 2 optics you listed, I would personally go withe the Leupold Mark 5. I shoot PRS matches and have been able to check out the Mark 5 and they are awesome. Good luck with your new adventure. It is addicting and costly but well worth it. My buddy Dan has that same setup, except he had the Mark 5 is the 3.6-18x and him and another buddy have shot it in numerous PRS matches with good success. Great rifle and optic. I will say that both of the guys that shot that platform have since moved up to full custom actions and chassis. Dan went to a full MPA rifle (Curtis action) and the other guy went AI. One thing you will find is that the Tikka barrels run slower than most others. When Dan went from the Tikka to the MPA, same barrel length, same ammo, he gained 100+fps. Frank from snipers hide had the same experience (https://www.youtube.com/watch?v=shqciW9BgSo). The Tikka trigger is awesome. No upgrades needed there. Overall great rifle for the price. One thing Frank recommends is buy the cheaper Tikka T3X and then put it in another chassis that doesn't tie you to the Tikka magazine. Jeremy is correct... I forgot to mention about the reports from Frank at Snipers Hide that the factory Tikka barrels are a bit slower velocity wise than other barrels. Also, if I remember correctly, Frank did have some issues with the Tikka magazines. But, as Jeremy said, you can get the T3X and upgrade to an aftermarket chassis or stock where you can use the AICS magazines. There are lots of options now for Tikka actions as far as chassis and stocks go. If it were me, I would look at the MPA chassis first as they are loaded with options and accessories. Depending on your budget, you can go to a full MPA build for just under $3,000.. I cant remember the exact price.. 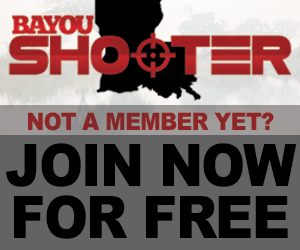 I know Lafayette Shooters carry them as well as Interstate Guns. I ended up going with the Tikka. Got a great price on it. My budget for it including the glass is $3,000. Since I’m just getting into long range shooting, I didn’t want to go all out on a custom build. I’ll save up for that later on in the road. I've got a tikka Tac A1 in 6.5. As mentioned above the initial barrel velocity is a bit slower than published, but with the 143 ELD it is VERY accurate. I also have a ruger American predator in 6,5 cm and there is no comparison between the two. The Tac is much easier to get accuracy out of with less effort. I almost went with the RPR in 6.5 but didn't like how easy it was for the check riser to collapse on you. I bought the RPR in 6.5 Creedmoor. I put a Magpul PRS stock on it. WAY better stock, people buy the take off stocks on Ebay and pay good money for them!